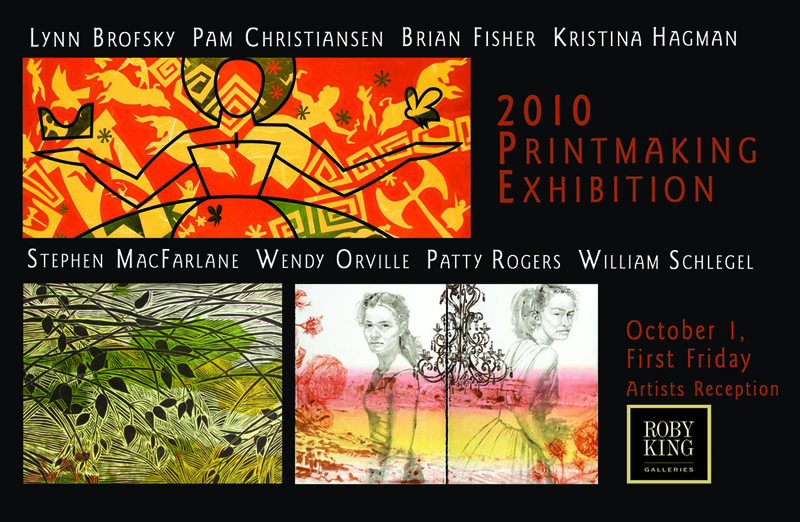 I just returned from a wonderful opening and artist reception at Roby King Gallery on Bainbridge Island. 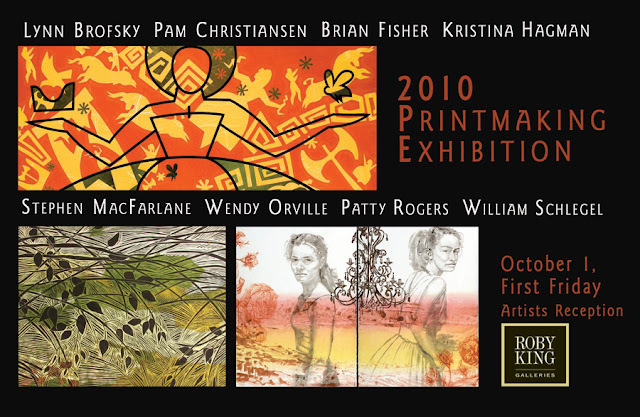 Each October Andrea Roby and Wes King invite artists to exhibit work in their annual print exhibition and this year I was honored to be asked to show with seven of the most amazing print artists. Above I have posted the card invitation. 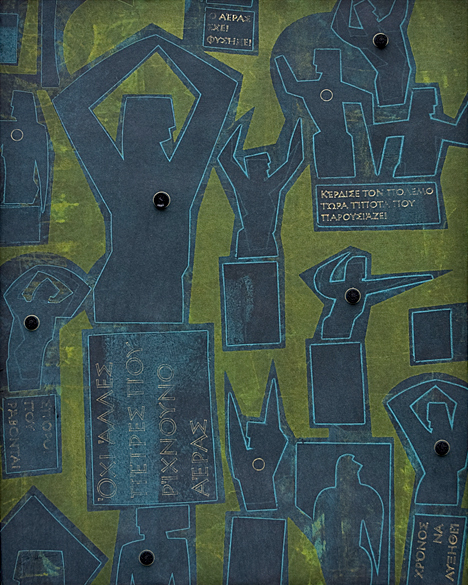 No More Stones, one of my Monotypes in this exhibit is shown below. Several people at the opening asked what inspired the imagery. The image is intended as a dark reminder about the realities of war. 1) All wars are the same war. 2) In war their are no winners, only losers. 3) In this age where war is waged by pushing buttons we need to think about real consequences surrounding conflict before we act. My Monotype, No More Stones, is 26 x 20 in. with antique glass buttons made in Czechoslovakia early in the last century.